For those starting out in the construction industry, service vehicle fleet management is an important part of creating a successful business. But while construction forecasts remain strong, the cost of equipment ownership remains high. A popular alternative to maintaining a strong fleet is equipment hire. Gaining momentum in recent years, equipment hire has become a cost-effective alternative to outright owning equipment. However, equipment hire is not without its risks. With a little planning and preparation, you can ensure equipment rental is straightforward and hassle-free. When you decide to rent construction equipment, your business is afforded wider access to a variety of equipment. But greater equipment availability comes with certain pitfalls. Having access to a wide range of equipment can result in cost overruns and poor fleet management. Setting a realistic budget for equipment hire protects against potential financial trouble in the future. Like any other industry, construction has its peaks and valleys. Renting more or less than you need for a project can severely impact revenue growth. Budgeting accordingly before procuring rental equipment and getting a quote from a trusted provider ensures you have the right equipment to get the job done. Quality assurance checks are important when going through the equipment hire process. As you are not the only firm to work with that equipment, the potential for equipment breakdown greatly increases. This is why it’s important to work with a trusted and reputable supplier. Renting specialized heavy equipment such as Potain cranes or hydraulic excavators? Make sure you know the maintenance requirements and repair schedules to avoid breakdowns at inopportune times. Working with a trusted and reputable supplier will significantly reduce maintenance and repair costs. Plus, rental contracts often have provisions for maintenance, repairs, and small parts, reducing integrity and safety issues, allowing you to work unimpeded. A tool of the trade that’s often overlooked is inventory management software. Efficient fleet management is crucial to the success and growth of your business. And as your business grows, so will your need for equipment. By using a comprehensive construction management software, your business can effectively streamline construction and rental timelines. But, the main reason to use inventory software? Eliminate manual processes that are prone to error. Inventory management software injects visibility, keeping everyone connected at every level. This prevents mistakes associated with rental equipment management that can be costly and can cripple a construction business. By nature, construction is fraught with potential hazards. With an industry like construction, insurance cannot be stressed enough. While your business may have liability insurance coverage, it may not have rental equipment insurance. Because equipment hire involves so many variables, obtaining an equipment insurance policy ensures your business is protected in the event of equipment failure, damage, or breakdowns. If you don’t have rental equipment insurance, most equipment hire companies will have extra insurance liabilities for their rental equipment. Confirm insurance policies with your chosen supplier as this can help truncate costs, keeping more money in your pocket. Not reading a rental contract thoroughly before signing can quickly ensnare your business in the future. Neglecting to read the full contract, particularly the fine print, can come back to bite you when you least expect it. Before signing on the dotted line, confirm things like delivery charges, maintenance schedules, transport fees, fuel costs, and late fees. Take the time to read all the terms and conditions of the agreement. What they define as “damage” to their equipment may differ from your definition. Equipment hire can be a major financial transaction, particularly when projects are involved. By reading the contract thoroughly, you avoid any financial repercussions that may occur due to disagreement. 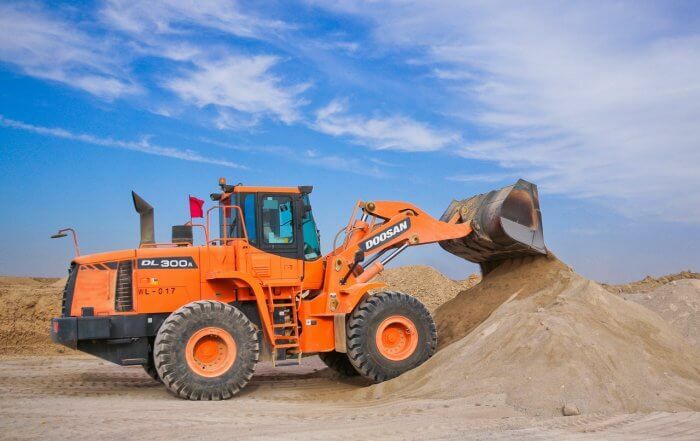 With a lower cost of ownership, greater flexibility in leasing, and fast access to specialized equipment, renting construction equipment can be a viable way for your construction business to succeed. While equipment hire can be a minefield to navigate, it doesn’t have to be. But by following the advice above, your construction business can secure itself when dealing with equipment hire. Hermann Buchberger is the Founder and CEO of Active Crane Hire (ACH). He’s taken the company from start-up to Industry Leader offering the largest fleet of construction cranes in Australia. ACH launched a new type of crane previously unheard of in the Australian market: electric tower cranes. The company’s infrastructure and associated services now comprise a fleet of trucks and trailers, a crane-rigging team, mobile crane technicians, a fleet of service vehicles, and an extensive range of crane spare parts. NextWhat Are the Benefits of Antigua and Barbuda Citizenship by Investment Program?